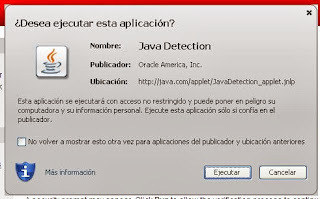 Oracle has introduced the notion of whitelisting in its latest version of Java 7 update 40. That is a great step ahead (taken too late) in security for this platform but... how does it work? how does it deal with older versions? And what is most important... how to block everything but the applets you want? This is the first time in years that Java allows to whitelist applets. This has become a true necessity for security, because of quite aggressive kits exploiting everything related with Java and its self "natural born insecurity". Before this version Java was the one blacklisting some applets, but it was managed by Oracle only, updated in each new version, not dynamic and very badly documented. But now, at last with Java 7u40 we have the chance to whitelist applets. It is not trivial though. But it is not trivial though. What you will need is a ruleset.xml file, compile it and sign it. 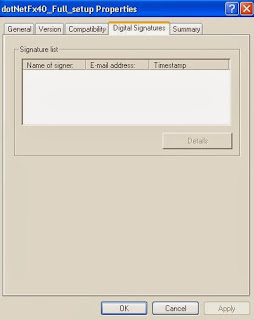 For signing it you may use a real certificate or a selfsigned certificate created by yourself but installed in your trust-store. 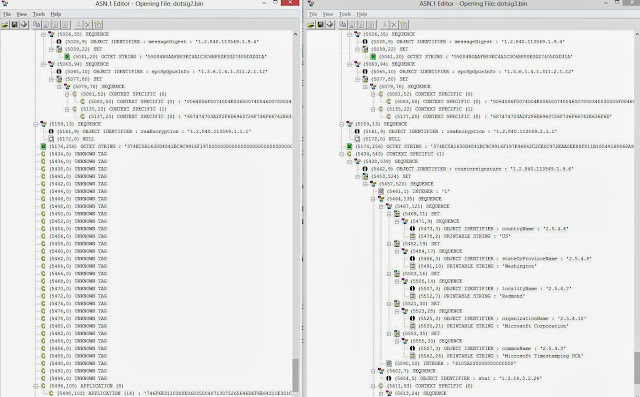 This is a standard XML file with a simple syntax. 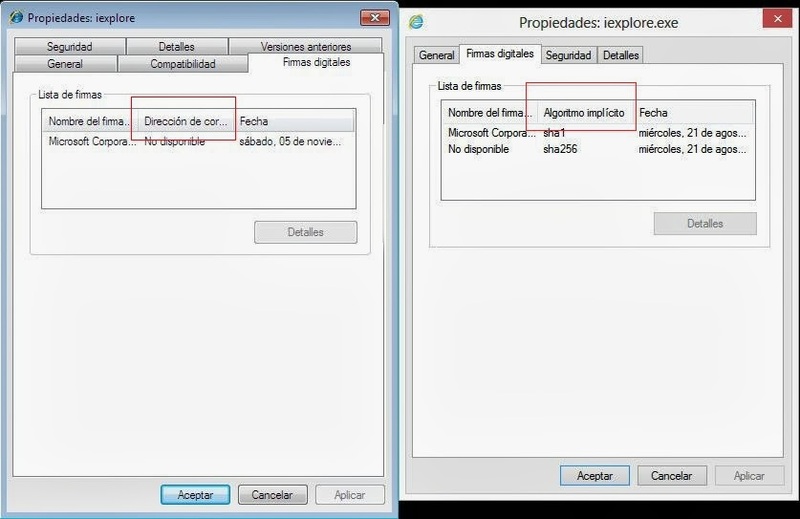 It defines which applets to block or allow depending on the domain they come from or who signed them. 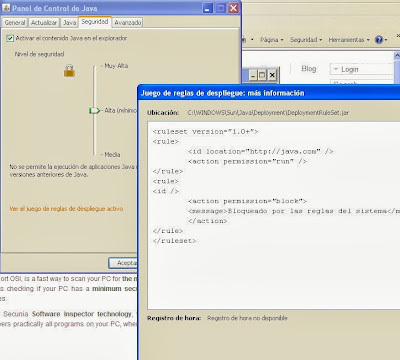 It also defines which version of Java has to be used to run the applet. Wildcards and rules by default are accepted, doing it may be quite granular. Let's create a file that allows only applets working with the ones hosted in java.com, and deny other applets. Last "id" means this is the "by default" rule and matches everything not matched before. The "version" tag may be handy... or tricky. It allows you to specify that an applet will run only with a desired (older) version that will, by definition, have security problems. So if the computer is keeping older versions (6.x) and an applet uses it... be aware this rule doesn't work for branch 6 (nothing will be blocked). So, if keeping this branch in the computer, this may all be useless. Where "123456" is the password to unlock the keystore (do not confuse it with the password of the certificate itself). It will ask some questions. It does not matter how you answer them. 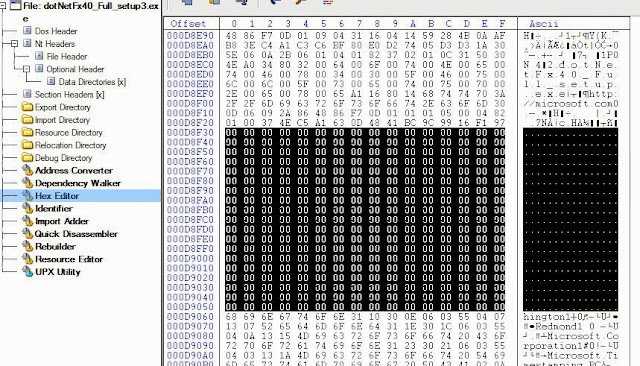 Now DeplymentRuleSet.jar is signed, copy it to its place (funny how Oracle still keeps some "Sun" names, four years later). Execute javacpl.cpl and check Java is aware of the rules. So, if you check applets hosted inside the specified domain, they will run but any other will be blocked. This is a great and very expected security measure if you do not have to deal with older versions. This is useless if other Java security measurements are not deployed. For example rise up the security leverage to "high" in security options. 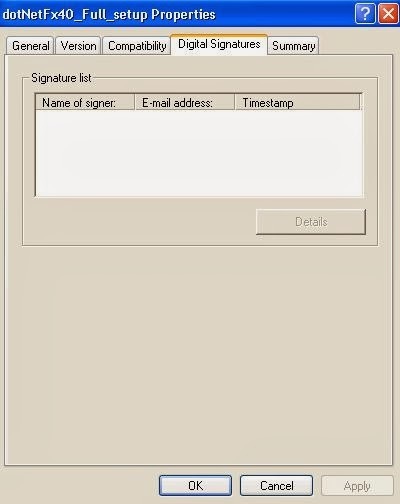 So far, with this leverage we could be "protected" against self-signed java malware, but what about properly signed ones? This feature tries to cover that gap. This is useless if Java is not updated and older versions deleted in the system. Just to check, using a not trusted certificate for DeploymentRuleSet.jar will block applets with a different message. 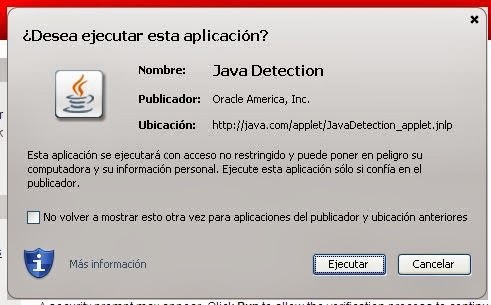 It's important to notice that Oracle has warned that they will blacklist certificates that sign DeploymentRuleSet.jar files that allow to execute everything. Anyhow, Oracle had to keep backwards compatibility with 1.6 branch, and when they drop support for it, this is the best way they have found to help administrators with some native tool to control Java plugin madness. Not bad.